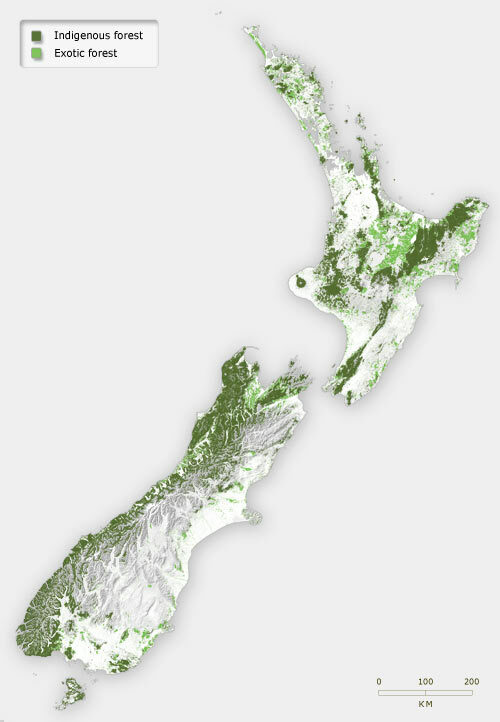 In 2005, after more than 150 years of logging, native forest covered just 24.8% of New Zealand. Most of it was in reserves. Planted exotic forest covered 7.7% of the land.